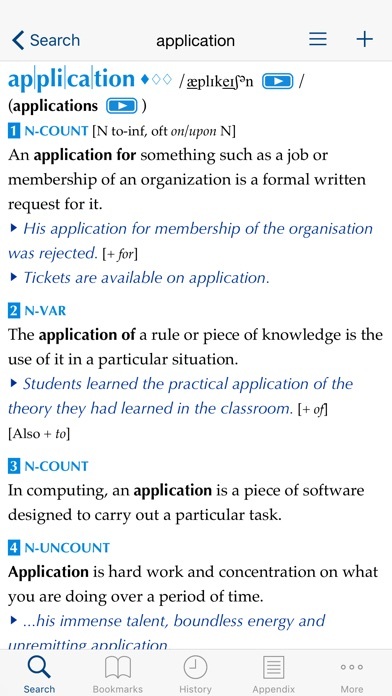 Transform your English with COBUILD Advanced Learner’s Dictionary [8th edition]. Learn to use English the way native speakers do, understand words, and improve your pronunciation. 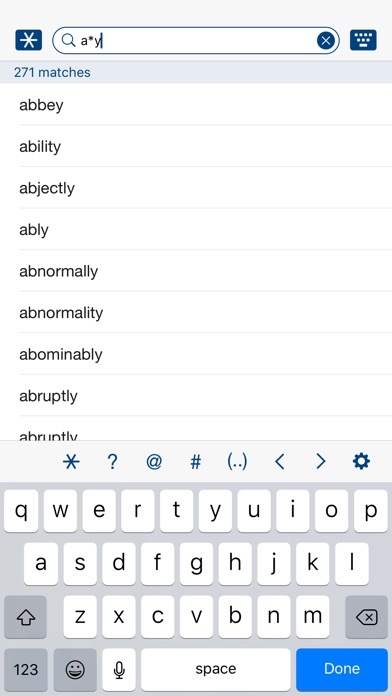 Created especially for learners, this app brings together our best ever COBUILD dictionary with new features only possible on your Apple device. With simple, elegant design and clever features, COBUILD is now easier than ever to use. FEATURES of APP - Optimized for iOS 11 - Optimized for 3D Touch - Fast pattern-match search (*, ?, vowel, consonant and group of letters) for crossword solving - Search within entries, idioms and examples - Customize search options (starts/ends with, appears in idioms/examples) - Pronunciation audio available offline (71,000 words) - ”Jump” feature – touch any word anywhere in the dictionary to go to the definition - Automatic correction of misspelled - Bookmark and history functions - iCloud Bookmark - Supporting “Slide Over” and “Split View” on iPad - Optimized for Retina display - Customize UI colors - Dark background color - Clipboard search - Search from other apps - Custom action feature allows users to look up a word in the dictionary from within other apps - Search for other MONOKAKIDO apps - VoiceOver speaks contents FEATURES of CONTENTS - Simple, clear definitions taken from natural English as it is really used - Full human-voice headword audio in standard British pronunciation - Words divided into levels of frequency, helping you choose the important words to study - Pronunciation feature helps you identify tricky words and learn to pronounce them - Word partnerships highlight the most important collocations of words with the highest frequency in the Collins Corpus - Word Links increase language awareness by showing how words are built in English - Thesaurus boxes provide both synonyms and antonyms for high-frequency words. - Usage notes explain shades of meanings, clarify cultural references, and highlight important grammatical information. - Style labels tell you whether a word is formal, offensive, funny, old-fashioned etc. - List of tricky irregular verbs to watch out for - Explanation of grammatical terms, helpful instructions on how to get the very best out of your COBUILD dictionary and much more COBUILD Advanced Learner’s Dictionary [8th edition] The 8th edition of the Collins COBUILD Advanced Learner's Dictionary offers up-to-date coverage of today's English in a clear, attractive format. 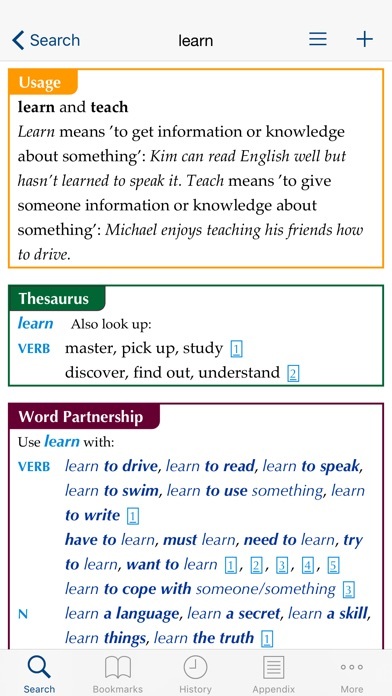 This dictionary is ideal for upper-intermediate and advanced learners of English. It covers all the words, phrases, and idioms that students need to master in order to speak and write effective English. With full-sentence definitions written in simple, natural English, this dictionary is easy to use and understand. 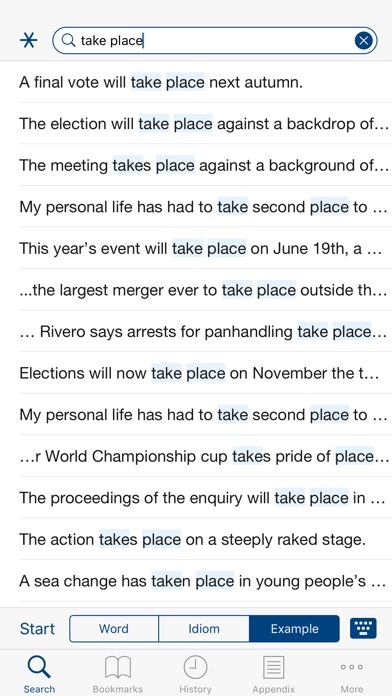 The examples, taken from the 4.5-billion-word Collins Corpus, show learners how the words are used in authentic contexts. 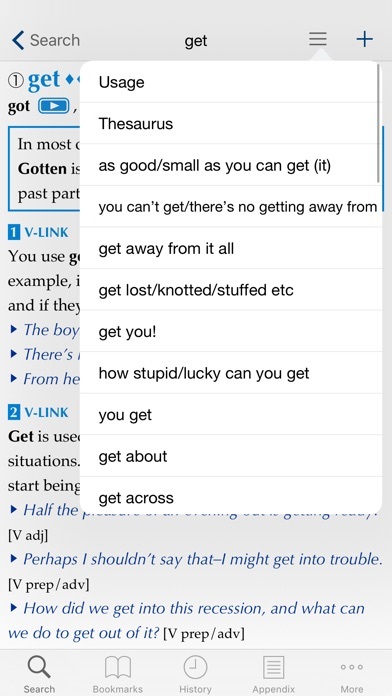 The dictionary also provides extensive help with grammar, including grammar patterns for many of the examples, and a grammar reference in the supplement. The Collins COBUILD Advanced Learner's Dictionary provides invaluable and detailed guidance on the English language, and is the complete reference tool for learners of English. Thank you for fixing the bug so soon. Very elegant UI and wealth contents. Worth every penny of it.